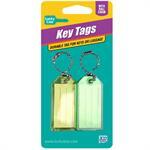 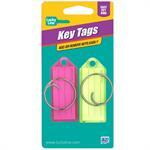 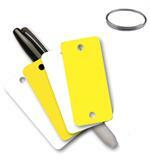 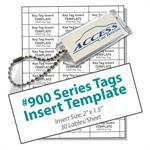 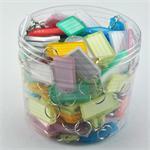 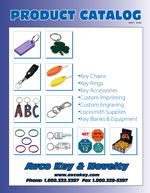 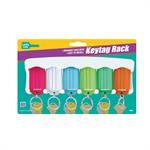 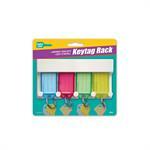 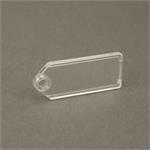 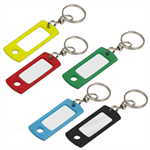 Avco Item#: 8778 | Available in Yellow or White |Simply attach key - no ring is needed! 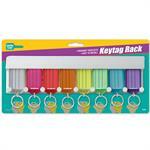 25 to a Pack, all 1 color. 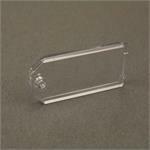 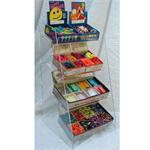 2-1/4" x 1-1/8". 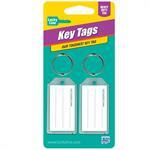 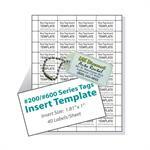 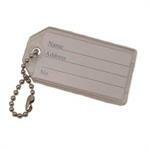 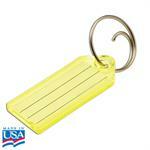 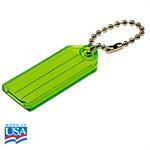 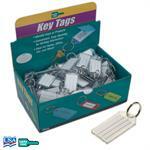 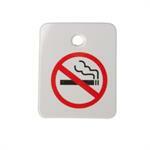 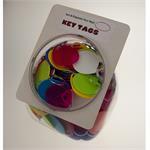 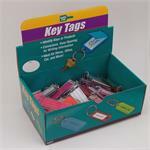 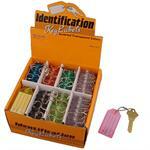 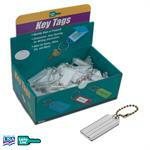 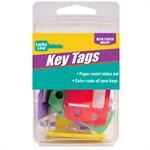 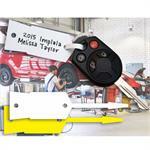 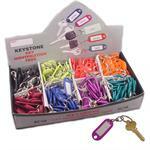 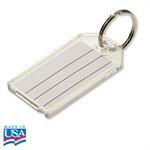 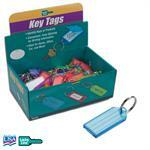 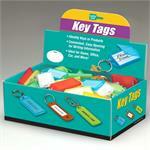 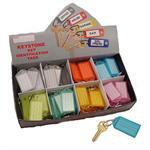 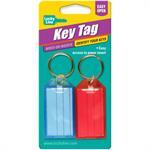 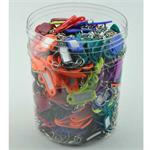 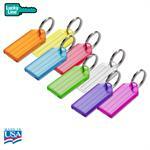 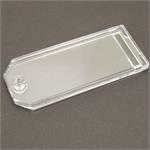 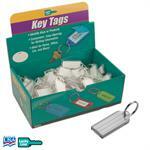 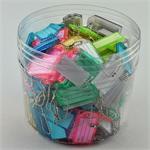 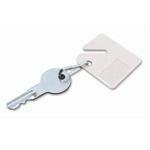 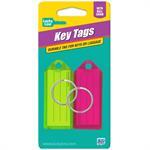 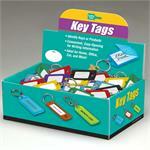 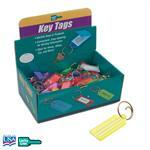 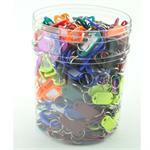 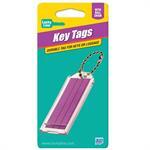 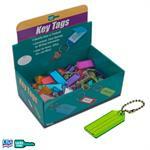 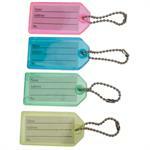 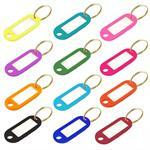 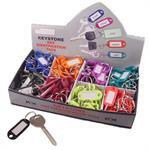 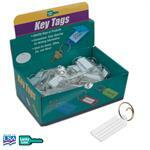 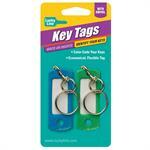 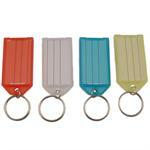 Has 7/8 tempered steel split key ring, and additional jump ring to help tag lie flat.